YaS Online was founded in 2004 by David Marner and Nicolas Hamm. Its main goal is bring free services to gamers, from gamers. On 15th September 2015, David 'nanashiRei' Marner passed away. 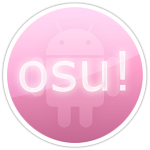 his latest efforts were directed towards osu!Mirror and osu!station which he was praised by a lot of people for. © by YaS-Online.net and Bootstrap is © Twitter Inc.